Critically-acclaimed ongoing series SHUTTER by Joe Keatinge and Leila del Duca will feature a rare crossover event to incorporate legendary Image Comics characters from the classic series SPAWN, created by Todd McFarlane; GLORY, created by Rob Liefeld; WITCHBLADE, created by Marc Silvestri, editor David Wohl, writer Brian Haberlin, and artist Michael Turner; SAVAGE DRAGON, created by Erik Larsen; INVINCIBLE, created by Robert Kirkman and Cory Walker; and SHADOWHAWK, created by Jim Valentino. 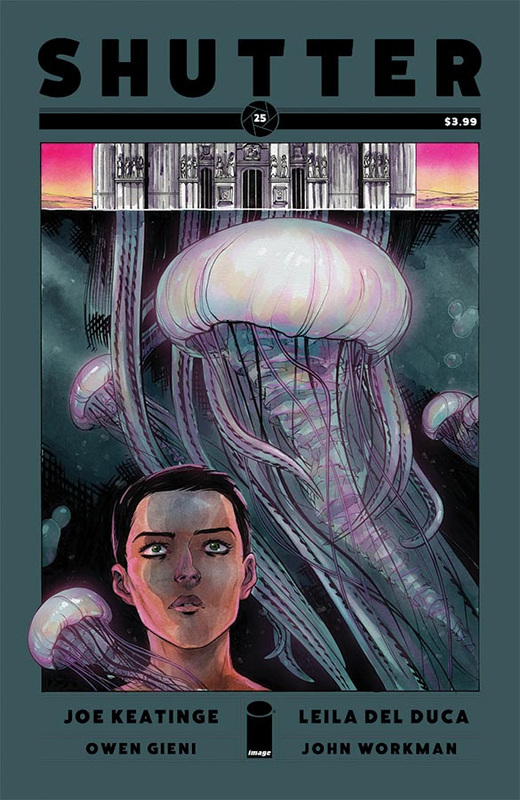 SHUTTER #25 is a landmark issue for the popular pandimensional adventure series, but it will also celebrate Image Comics’ 25th anniversary with this exceptional moment in Image Comics history. Fans dare not miss the terrifying biscuits-and-gravy secret no one will see coming in SHUTTER #25. Here, SHUTTER will kick off 2017 with these founding heroes meeting up with the cast of SHUTTER’s beloved character ensemble for what may prove to be one of their most delicious adventures yet. “The SHUTTER team found a great way to celebrate the history of Image Comics—and the universal love of two of the most important meals EVER combined into the best meal (Eat it, Dinner)!” added Brandon Graham (KING CITY, PROPHET), artist of SHUTTER #25’s special variant cover.